Ever had a bad hair day? You can try to think of a quick and cute curly hair style or you can toss on a headwrap. A video I posted on Instagram of my deep conditioning routine using WonderCurl’s Restoring Hair Treatment sparked a full tutorial of my wash day. It’s finally here. The style I posted on Instagram has a tutorial. 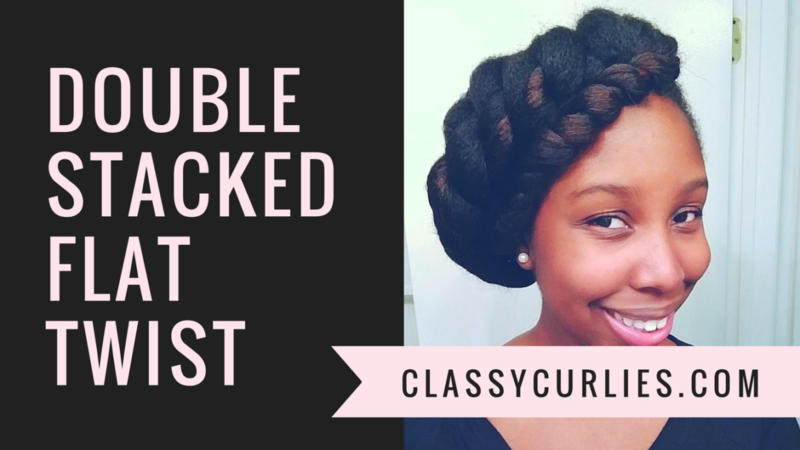 This easy natural hair protective style took only five minutes to do and didn’t require any combs or products – just your fingers and a couple of bobby pins. How to moisturize and stretch your mini twists. There is an easier way to blow dry your curls with minimal damage. These three protective hair styles can be done in less than 7 minutes and you need only 2-3 items for completion. They are perfect for the office, special occasions and a couple even good for lazy days. Stretch your hair without heat? Try African Threading with this tutorial.